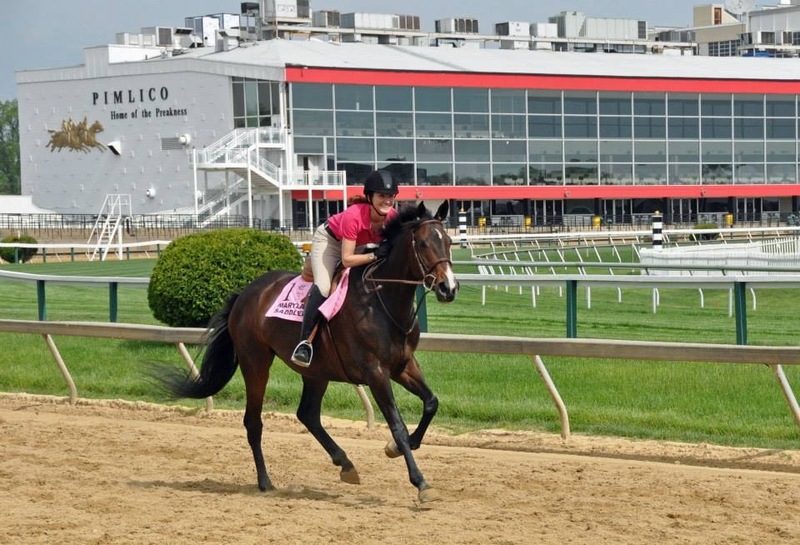 In 2014, I had the wonderful opportunity to ride Lilly on the actual track that the Preakness will be held on this week. 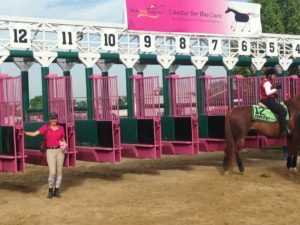 That year, the weekend before the race, a special event was held called Canter for the Cure to benefit the Susan G. Komen Foundation. 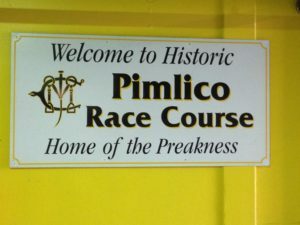 It provided an opportunity for anyone to bring their horse and ride on the Pimlico race track and get your picture taken in the winners circle. Two of my barn friends and I loaded up and drove an hour and half to have the opportunity to ride on the same track that the greatest racehorses have ridden including Secretariat, Seattle Slew and so many others. American Pharoah wouldn’t take the Triple Crown until 2015. It was a beautiful May day. I had expected to see a ton of OTTB waiting to revisit their youth, but was surprise to see many western riders and pony clubbers. We discussed that the challenge of revisiting the place where an OTTB ran its heart out would undo its retraining, so many would choose to stay away. Lilly had never raced so I wasn’t too concerned, although I was excited to see how fast she could run. 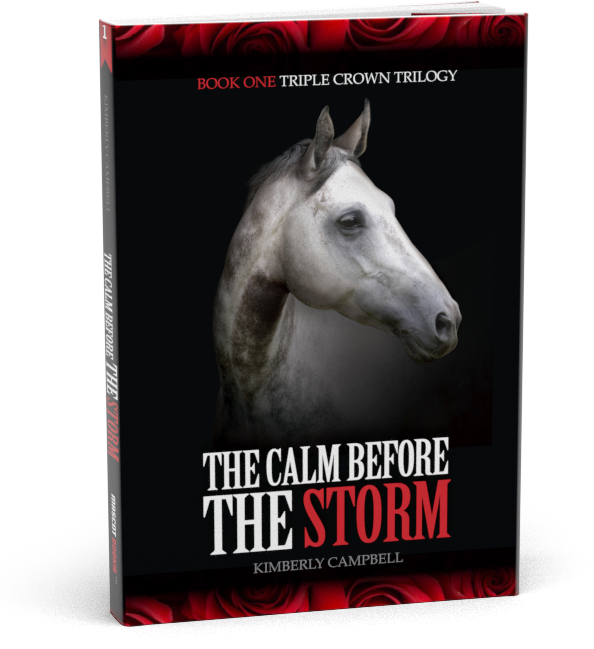 Imagine having the opportunity to just let your horse run as fast as it wants to – I was giddy with anticipation. To start, you were able to ride your horse through the actual starting gate. Believe me when I tell you it is a tight squeeze. I was nervous Lilly would spook at the big pink monster, but she was a trooper and walked right through. And then we could let them run, limited to two times around the track. I moved Lilly into a trot and then canter to stretch her legs. We moved along the backstretch and around the far turn. One of my friends was riding with me on her mare, who was not a Thoroughbred. I was excited about our own little race that was about to unfold. We hit the quarter pole with the long homestretch in front of us and I encouraged Lilly to move on and race to the finish line. I waited with anticipation for the burst of speed that would take us to another level. And waited. And waited. The realization hit as to why Lilly had not become a full-fledged racehorse. 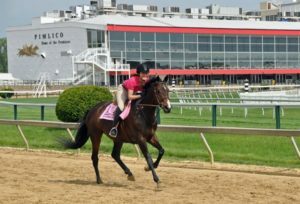 She had no desire to go any faster and was happy just cantering along, ears up, taking in the scenery of the big grandstand to our right and sponsor tents to our left. My friend, on her spit-fire mare, laughed as she pulled up ahead of us. 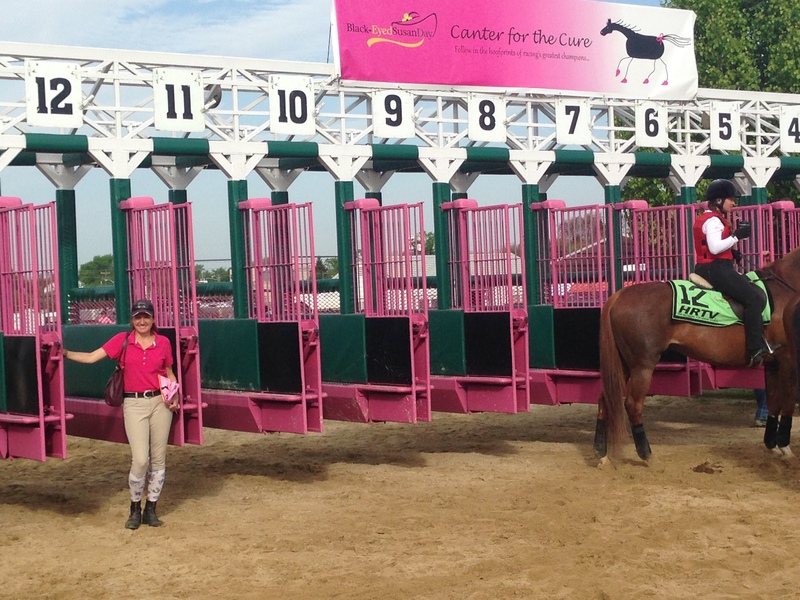 We finished with getting our picture taken in the winners circle. 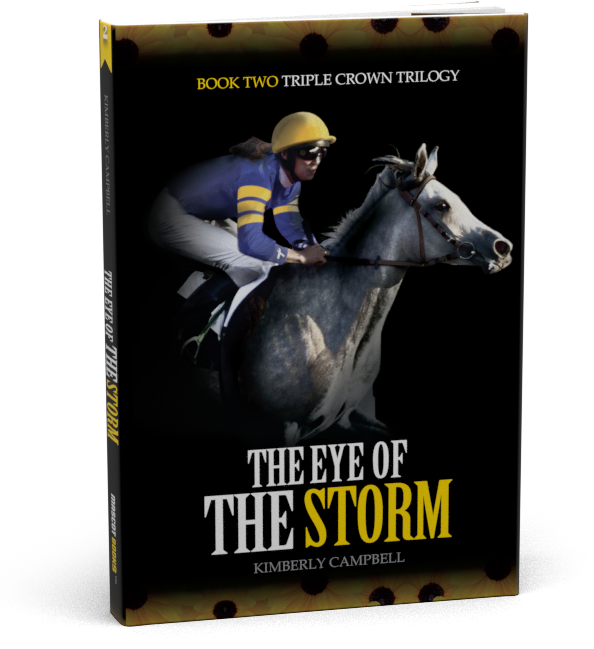 It was an amazing experience and the closest I will ever get to being a jockey and so far the closest I have been to being in the winners circle – however, my dream is not over yet. 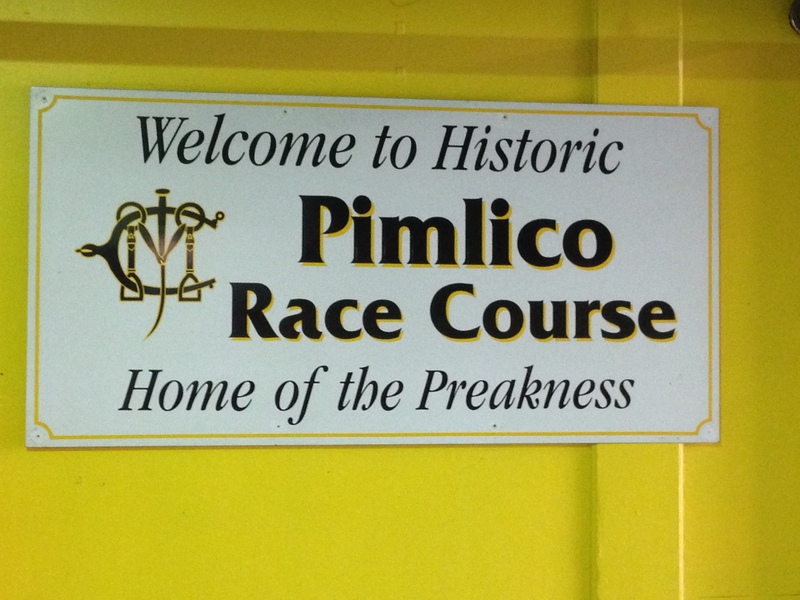 California Chrome won the 2014 Preakness a week later.